Every year we purchase reading tote bags for all of our students. 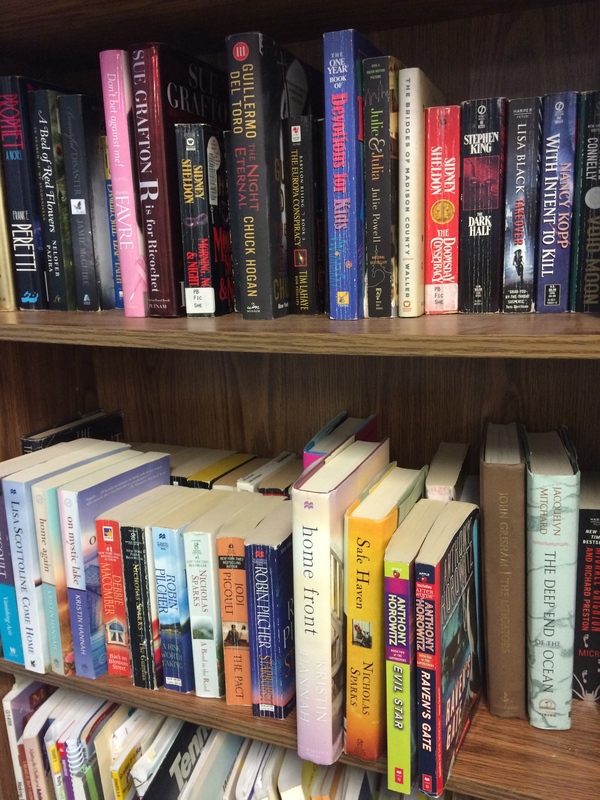 On one of the last days of the school year, we allow students to check out up to ten (10) books to take home and read. We reopen our library once a month during the summer, which allows students and families up to three times to check in old books and check out new ones. The biggest expense in this initiative is not the books or the minimal staffing to run the program. It’s purchasing the tote bags which run around $1 a piece. They are necessary as we have found a number of students have nowhere to store their books once they bring them home. It’s an effort in being more culturally responsive, as we work in a Title I school. This year we receive a donation from an energy distribution company. The funds have to be used toward science and mathematics education. This led to developing a slightly different approach to encouraging reading during the summer months. We will now ask all of our students to select at least five (5) nonfiction books out of the ten books they would pick for the summer months. Below is a screenshot of that letter. By taking this approach, we are utilizing available funds in a smart way as well as encouraging students to read more widely during their summer vacation. Time will tell what if any impact this change might have on student reading engagement and achievement. 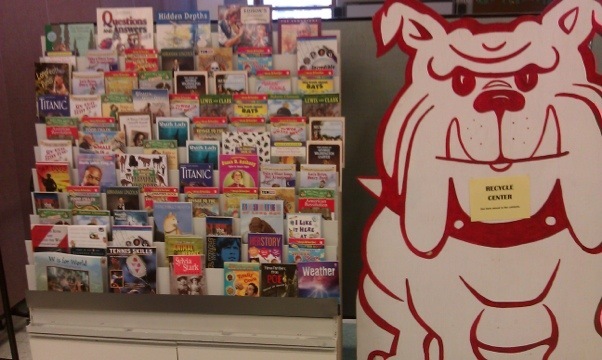 What does your school do to promote summer reading? Please share your ideas in the comments. I am starting to realize that one of my ultimate goals as an elementary school principal is to have books available within 200 feet of any student. 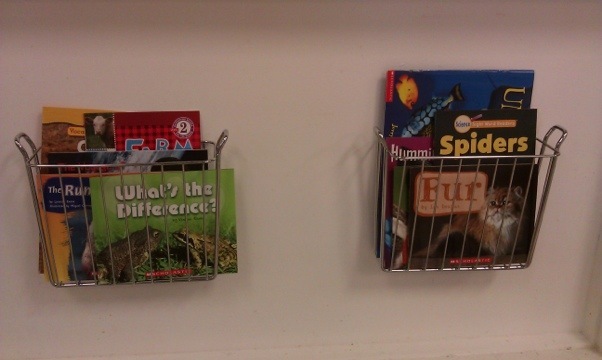 Case in point: We just resupplied the shelves in the cafeteria with nonfiction titles from the National Geographic for Kids series. 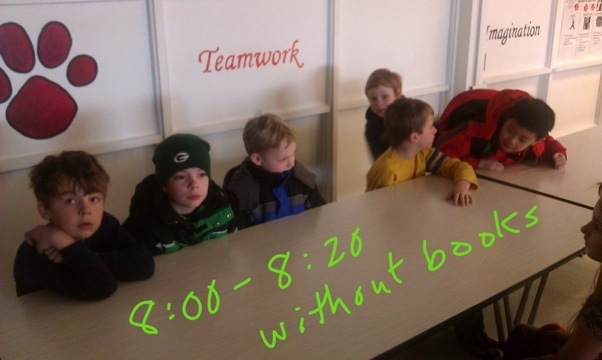 They are strategically placed; the K-2 students eat breakfast and lunch on this end of the room. Reading can commence while they wait for dismissal. I believe this sends a strong message: Readers read when there is time, and it is always a good time to read a good book. In my first year as an elementary principal, one of the many nice things I inherited with my new school is a drive by staff to utilize every minute for instruction. This is evident as I observe classrooms during instructional rounds. 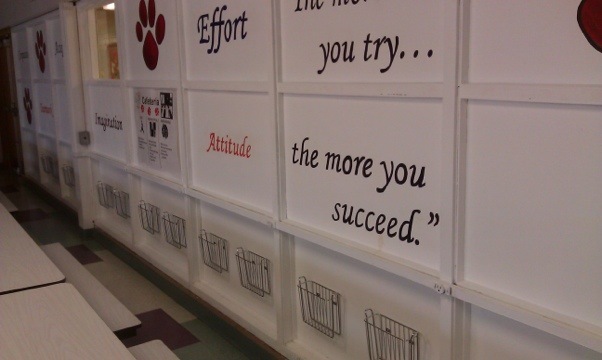 Being an educator, you may have noticed that the panels on the bottom of the wall are totally being underutilized (what 20% rule?). To fill this gap, metal magazine racks were ordered from Amazon at $13 a piece. They are what you might normally see hanging in a bathroom. Keith the custodian put them up in a jiffy. Next step was to order the books. Knowing that time was limited to start a novel, nonfiction easy readers were purchased from Scholastic. What is nice about nonfiction is kids can pick them up and read them in short bursts, perfect for the morning wait time. 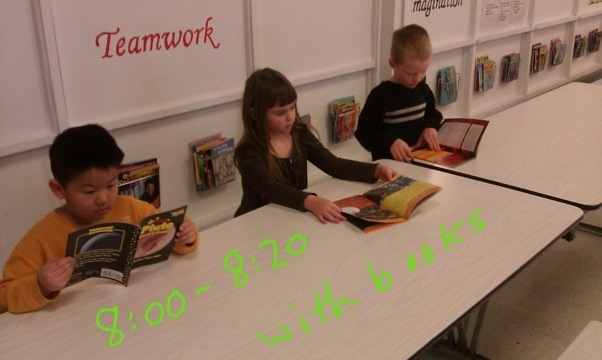 Also important is that most reading students will do as they get older will be nonfiction. *This side of the cafeteria is where all K-2 students sit. Books displayed are at their reading level. *Grade 3-5 level books displayed by the older students’ side include biographies and history.